Campsite gourmet. 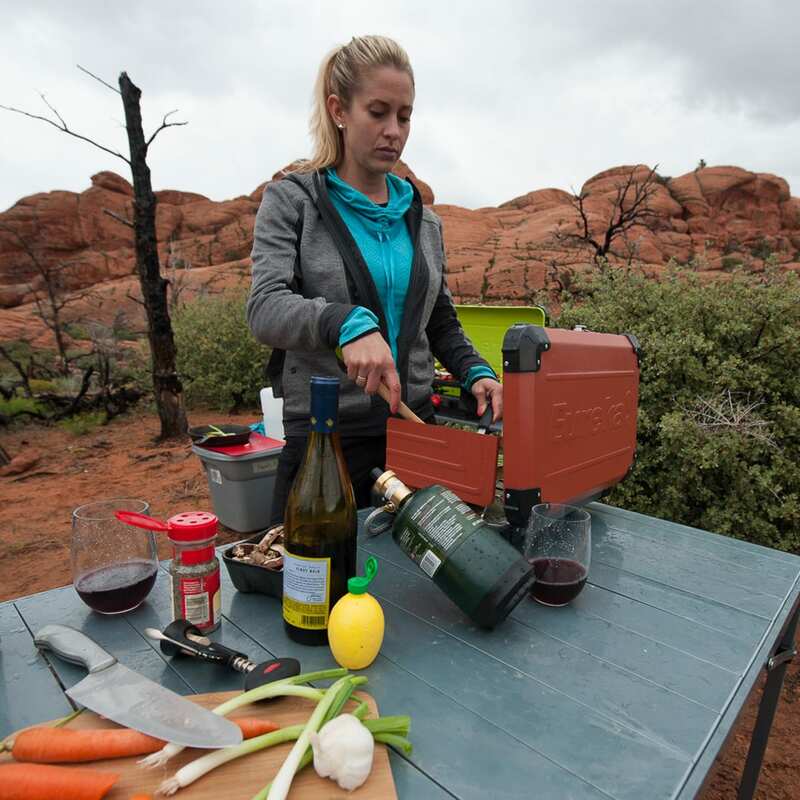 Take your camp cooking past the basics and let your iron chef go wild with the Spire stove! Gourmet cooking at your campsite is a reality. Dial in the perfect flame to cook pancakes just right, or blast the BTU's for high heat & a quick boil. When it's time to expand your kitchen, utilize the patent-pending JetLink accessory port to attach the Luna accessory burner, or another Eureka! stove, and whip up a full feast for your family and friends - all from a single fuel source. 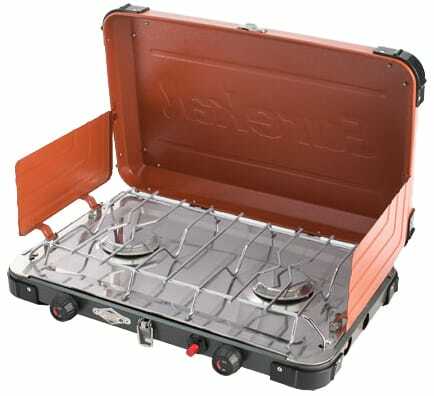 Stoves can be daisy chained from one to another for the ultimate camp kitchen! 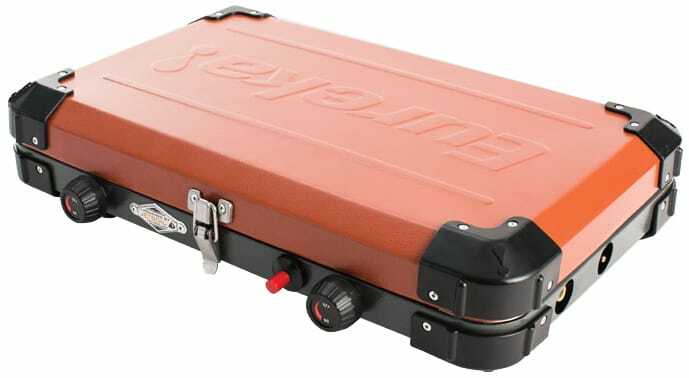 Size: 18.7 x 12.7 x 4.4"
What type bottles use / propane specs ? 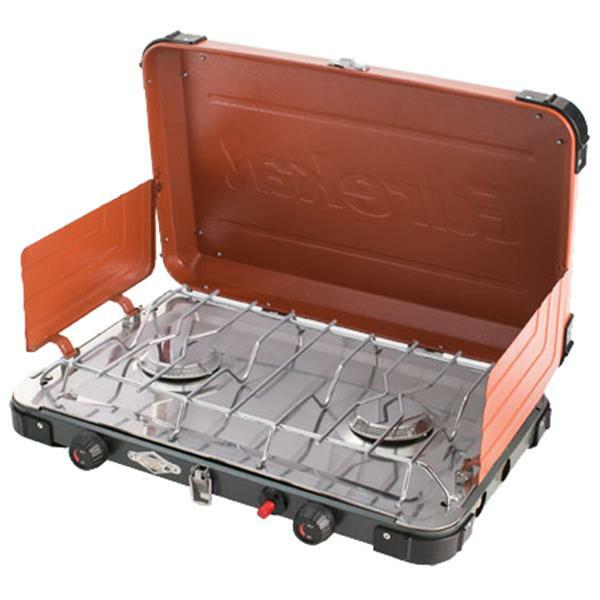 This grill/stove uses the standard pre-filled small propane cylinders typically sold as 16.4oz. I apologize, but the fitting size is stated as universal. These: http://assets.academy.com/mgen/31/10391031.jpg?is=500,500 This stove is quite neat!